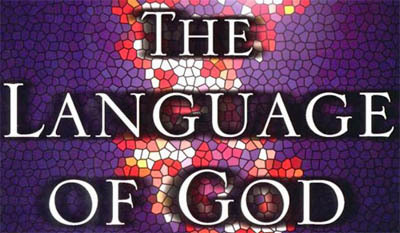 Tonight, I just finished Francis Collins’ book “The Language of God” where he lays out the basic facts of genetics and the human genome, denounces Creationism and rejects Intelligent Design theory, rebukes Richard Dawkins, and generally sets a tone for reasonableness between Christians and scientists. This is a lot of disjoint topics, and while he covers a lot of territory, he doesn’t provide sufficient depth in any one area to change minds on either side of the debate of these issues. His goal is clearly to get Christians to think and synchronize their beliefs with modern science. There is much compelling in this book. As a Christian, I want to be honest and consistent, not just with others, but with myself. I don’t want to hold on to beliefs that are not in agreement with my principles and don’t derive from what I consider to be authority. In these, I certainly consider arguments of reason to be critical, but I’m sufficiently aware that I have neither the time nor ability to form all my beliefs from my logic alone. Some would say this is a lack of moral courage, “think for yourself, Tim”, but I hold to a classical view of faith, extending lots of trust to the organizations I join to teach me the right things. This doesn’t mean I turn my mind off in church, but I approach things there with trust. Even in technical lectures, I’m generally there trusting the professor, not scoffing at her equations. I’m there trying to figure out what they are saying, under the trust that the school has vetted the professor and the scientific community has vetted the textbook. Perhaps this is best summarized with a “trust, but verify” mindset. Here we get to the heart of Dr Collins’ book. We can’t derive everything from first principles. For me, I would say only a small fraction of my beliefs are from first principles, other things just ‘seem’ to work and I trust experience. Other things I just trust other folks on. Take a statement like “computers read and process information”. I believe this. I use computers all the time. I’ve even build logic out of Boolean circuit components, I’ve done the physical chemistry of n- and p-type junctions of transistors, but at some level I just trust that x86 processors work, even if at some point long ago, I thought through how an ALU works. Christians want to trust the scientific community and love the Christian scientific heritage, but our faith is precious to us and we have both experienced God and His forgiveness and place trust in His specific (i.e. Bible) and general revelation (i.e. experience of the natural world). From our own inability to control our own moral state and actions, we know we need accountability and we find great comfort in Biblical and ecclesiastical answers to the big questions. I also find comfort in not needing to arbitrate all the answers myself. Both the history of the Church and the Christian community I have is there to teach me and help me navigate life. I’m sure this is a poor list, but I wanted to get started. So for something like: “I exist” or “my wife is an amazing woman”, I would check personal experience and basic reason– I both know these to be true intuitively and I can give you lots of evidence why. For “the soul is immortal” I check off the church, Bible, and trusted friends. Wow, much to argue about here, but this was just an experiment to get me thinking. Now, I’m not a philosopher, but I’m interested in Dr Collins’ central question: how can modern Christians accept authority from Bible, Church and the Scientific Community? In order to make this work, Collins argues that faith (specifically Christian faith) is reasonable for a modern smart scientist, that the current consesus of the scientific community regarding origins is a “hands off” process of natural selection, and the Christan view to syncronize scripture is to accept (1) God started things, but didn’t guide them, (2) certain parts of scripture are “clearly” poetic and not indended to be taken literaly and (3) put faith in the smallest part possible in your understanding of the natural world, but at least allow for the possibilities for miracles to exist. In short: trust your “scientific” part of your mind as the primary arbiter for your beliefs, but allow for faith as well, at least where it is reasonable. Then, place these two systems of belief in separate spheres where they can each answer their respective questions. At first glance, this seems excellent. Can I really confine science and religion to operate in largely separate spheres, the natural and the supernatural, so that most instances of supposed conflict are actually misunderstandings or misapplications of one or the other? To Collins, the error is when ‘faith trumps science’ or when ‘science trumps faith’. His ideal is an egalitarian view: two healthy determinants of belief, both equal and valid. Can I take control of scripture and start discounting the parts that don’t seem to make sense to me as poetry? Can I trust the scientists to tell me what to believe on origins like I trust the doctor to tell me what medicine to take? Would separating my faith in God and science be a peaceful coexistence, or would it be more like one hand on the oven and another in the freezer. Adam and Eve were not the first people. “Genetic evidence shows that humans descended from a group of several thousand individuals who lived about 150,000 years ago.” He presents options such as accepting they were two individuals chosen from many to represent humanity or that the names Adam and Eve were a symbol for humanity. My biggest issue with this is that Paul believed in a literal Adam and Eve (cf Romans 5 and 1 Corinthians 15), so to accept this is to now say that Paul was might have been right on spiritual matters, but didn’t understand origins, or was a “product of his time”. This is a radical departure from traditional hermeneutics. Death pre-existed the fall. He claims the death that is discussed in the Bible resulting from Adam’s sin is a spiritual death. This is contrary to what I’ve been taught, but I’m willing to consider it. God was only involved in the smallest, initial component of creation. He implies the Creator must have been ‘clumsy’ to have to keep intervening throughout geologic time to make his creatures turn out right. Collins finds it more elegant to confine God to setting things up and then taking a hands off approach. However, this contradicts even a poetic reading of Genesis, and is much closer to a blind watchmaker than I’m comfortable with. This is all so disappointing, because I wanted this book to define my views on this issue, but I can’t get there. Francis went through the CS Lewis program several years before I did and we have several friends in common. He is clearly in the Christian camp, but he wants the benefits of dogmatism, but tries hard to avoid dogmatism at every turn. Most disappointing, he writes in the end that he shares his faith “without the desire to convert or proselytize you” because he sees values in all faiths. What is more hollow (and logically inconsistent) than someone who doesn’t sufficiently believe his faith should apply to others? Throughout the book, he is always hedging and tries very hard to stay clear of making any claims of Christian moral superiority. God is reduced (without Collins meaning to do so) to little more than the author of natural laws. And the end result of his logic is to make the Universe appear, to the objective observer, to be unsupervised. Despite his stature and appeal to the authority of the scientific community, he never really gets me to molecules-to-man evolution, for which Collins has provided no new arguments that I could find. While I admire his defense of the Kantian tradition: where the empirical and the spiritual happily co-exist, this book doesn’t clear up my confusion. He merely confirmed what I already knew: a lot of smart people, historical Christians, and the vast majority of academics/scientists believe that evolution was the process by which man and woman were formed. While he is in favor of a semi-literal interpretation of most of the bible, he only makes halfhearted attempts to convince the reader of his position, and, astoundingly, never explains exactly what he thinks Scripture is and how he extracts truth from it. One key takeaway for me was the importance of working this out. As a Christian and a modern man, I need to have a thought out position on this that is logically consistent and reflects my principles and key tenants. So, if I’m not with him, am I ready to join the institute for creation research and head off to the creation museum to sort this all out for me? As much as I found his position unsatisfying, I’m even more uncomfortable with the young earth creationists. They violate the principle of inserting certainty where it shouldn’t belong. They can’t explain the age of starlight, the consistent results of carbon/radioactive dating, ice layers or even tree rings that contradict their age of the earth. Moreover, they do stand in opposition to the scientific community. Period. Science is a community that is obsessed with truth and its members are incentivized by data-driven arguments, especially those that are novel and iconoclastic. While it is unfortunate they rule out the possibility of a God created worldview, they would at least have to admit that the evidence supports a young earth, but, alas, it does not. You can find scientific-looking articles, but the ones I’ve seen neither use real data, nor are written by folks I would call real scientists. While I deplore appeals to authority that most current scientific debate follows, the “creation research” that I can find does not withstand basic scrutiny, other than its ability to make the true point that no-one knows what happened at the beginning of time. Starting with (and staying with) the bias that any conclusions reached will not interfere with a current set of interpretations of Genesis, might be a valid framework of belief, but we should not call that process scientific discovery. The fact is, the one that most people consider the most conservative, which is the young-Earth, six-day creation, has all kinds of problems with the text, as we know. If it’s really true, then you have problems of contradictions between Genesis 1 and 2. … I don’t like the theory that these are two somewhat contradictory creation stories that some editor stuck together…I think therefore you’ve got a problem with how long are the days before the sun shows up in the fourth day. You have problems really reading the Bible in a straightforward way with a young-Earth, six 24-hour day theory. You’ve got some problems with the theistic evolution, because then you have to ask yourself, “Was there no Adam and Eve? Was there no Fall?” So here’s what I like-the messy approach, which is I think there was an Adam and Eve. I think there was a real Fall. I think that happened. I also think that there also was a very long process probably, you know, that the earth probably is very old, and there was some kind of process of natural selection that God guided and used, and maybe intervened in. And that’s just the messy part. I’m not a scientist. I’m not going to go beyond that. If you’ve made it this far, I leave you with a quote from C.S. Lewis who was so foundational to Collins’ faith. In the meantime, I’ve got work to do and a God to serve . . . This entry was posted in Editorial, Philosophy and tagged Authority, Christianity. Bookmark the permalink. Tim, Great review. Far too much to write about this morning. I will only add that if one is willing to make certain concessions, any concession at all in fact, and still turn up “Christian” does it not follow that perhaps one more concession might simply be that truth as we know it might not be singular? Occasionally allowing my thoughts to drift in this direction helps with many common problems of the day…like evolution. And, since you’ve brought forth another beautiful passage from C.S. Lewis, that fortifies my belief, as he has also done in “The Abolition of Man”, just how deeply C.S. Lewis intuited evolution, whether he believed in it or not. Since I believe this…and as you say it was a foundation for Collin’s work, I will now have to read this book to see if there are other ties to Lewis which I believe must exist. Here’s my wretched review of AOM on Amazon which got me started in that direction. A very thoughtful article, Tim…thanks for posting. As an admirer of Dennis Prager, I’m keen on his mantra to seek clarity over agreement, so I hope my comments will contribute in some small way to the clarity side, since I vehemently disagree with Collins and his BioLogos colleagues regarding their inconsistent and ultimately misleading answers to a question as fundamental to the Christian worldview as origins. This is ultimately about inerrancy, in my view – not whether inerrancy is a reality, mind you, but where inerrancy is located. Collins would like to discount or deny inerrancy in Scripture and relocate it in the realm of reason and science. So, he suggests we filter statements of Scripture through science, and if/when there appears to be a disconnect, we dump or allegorize Scripture and trust science instead, as if science were the final arbiter of truth. This is not to argue that every line in Scripture must be interpreted literally, or that the Bible is a science textbook, but rather to recognize that God’s revelation makes very specific truth claims, and when they differ from the modern scientific “consensus”, we Christians trust the Word, not the world. There is no egalitarian solution when it comes to diametrically opposed truth claims. – God created Adam fully human, distinct from the rest of creation, as a unique bearer of His image – man did not “grow into” that imago dei over millions of years, coincident with a consciousness that “descended upon” some advanced primate. (Gen 1:26-27, 2:18-20, 9:6, I Cor 11:7, James 3:9). Indeed, God gave this image-bearing man stewardship over all creatures and the rest of creation from the beginning — he was not merely one of them. Then again, if Adam were not a true historical figure, the father of all humanity, then to whom (or what) can the “last Adam” refer to in 1 Cor 15:45? There are unmistakable Gospel implications to denying the historicity of Adam and the reality of the Fall, and this is one of the many reasons I believe Collins and his compatriots are dangerous, albeit sincere. That’s certainly not the God we serve. P.S. In the spirit of full disclosure, I’m a long-time supporter of ICR, and there are real scientists doing bone fide science there, but like current climatologists who disagree with the anthropogenic global warming “consensus”, they’ve been deliberately locked out of the academic and financial bloodstreams that would enable a robust, healthy, and truly scientific skepticism to ever see the light of day.